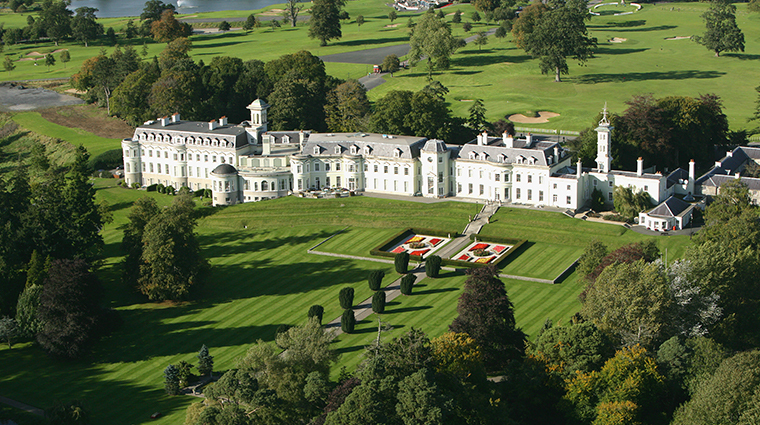 Situated 30 minutes west from the bustling city of Dublin, The K Spa at The K Club is a serene oasis set within the expansive grounds of the historic K Club, a former grand house and estate owned by one of Ireland’s original millionaires. Its modern building cuts a daring presence amid a charming collection of converted stables, former servant quarters and a new “village” built especially for the hosting of the Ryder Club here in 2006. The 20,000-square-foot spa is all soft tiling and tall ceilings with a light soundtrack based on whale-like music designed to soothe. 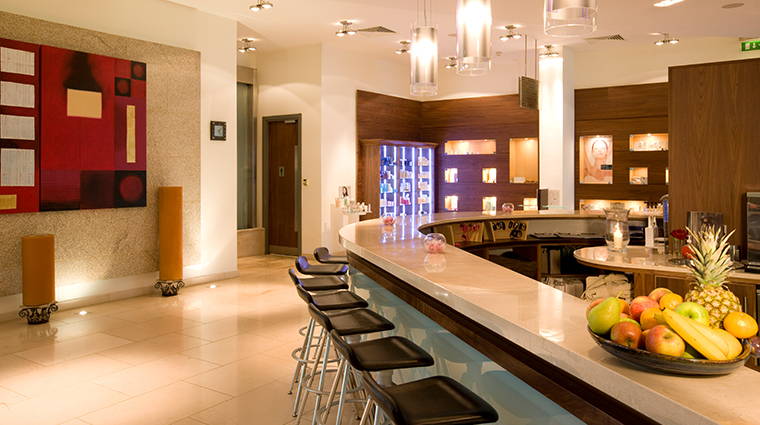 It manages a warm and welcoming atmosphere, as you might expect from a luxury Irish hotel. In other words, it’s cozy in spite of its tall and airy dimensions. 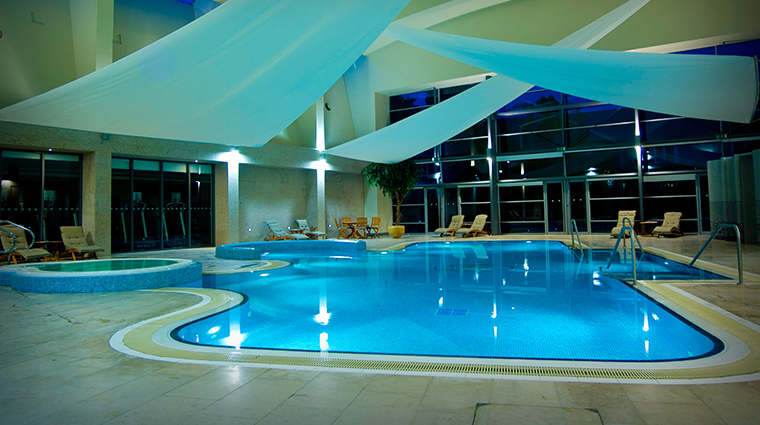 The K Spa is the first in Ireland to use the Natura Bissé brand. The Barcelona-based luxury company specializes in skincare, so be sure to check out the facials. The strong golfing heritage of the location is reflected in the Quiro Golf Massage, which uses specially adapted golf balls in a therapeutic rubdown. The Mindful Touch gives you an all-immersive 3D virtual reality, combined with the therapist’s touch, sounds and scents, courtesy of Natura Bissé’s cosmetics. You can add this VR option to any treatment. Great for the non-believers and skeptics, its magic works particularly well on men. The buoyant design of the building owes much of its expansive feeling to the central swimming pool over which “sails” float in a strongly nautical theme. For an extra indulgence, One Hundred Minutes in Paradise will treat you to a rhassoul session, massage and facial. While the spa is adults-only, the adjacent pool area allows children during select hours throughout the day. For optimum serenity, avoid the hours of 10 a.m. to noon and 2 to 4 p.m.
You should arrive 40 minutes prior to your appointment time to take full advantage of the fine pool and thermal facilities. The K Spa requires a 24-hour cancellation notice, but with extensive hours (from 6 a.m. to 9 p.m.), finding a time to reschedule shouldn't be a problem. The County Kildare spa offers weekly wellness classes in topics like shamanic meditation, skincare, qigong and mindfulness. The Citrus Scrub uses kinesiology-inspired re-firming brands to tone targeted areas and help you get more definition. The Diamond Life Infusion Ritual is a comprehensive 90-minute “youth elixir” facial that will improve your skin’s texture, smooth out wrinkles and infuse life into your complexion. The Signature K Spa Massage fuses the best of Eastern and Western approaches, with the therapist creating a tailored experience to suit your individual needs. Warm oils and deep tissue techniques combine to ease your body into a new state that you’ll feel from the top of your head to the tips of your toes. For a locally influenced treatment, try the Celtic Tranquility. Soak in a West of Ireland Seaweed Bath before unfurling your knotted muscles with a Suaimhneas (Irish for “peace and tranquility”) massage. 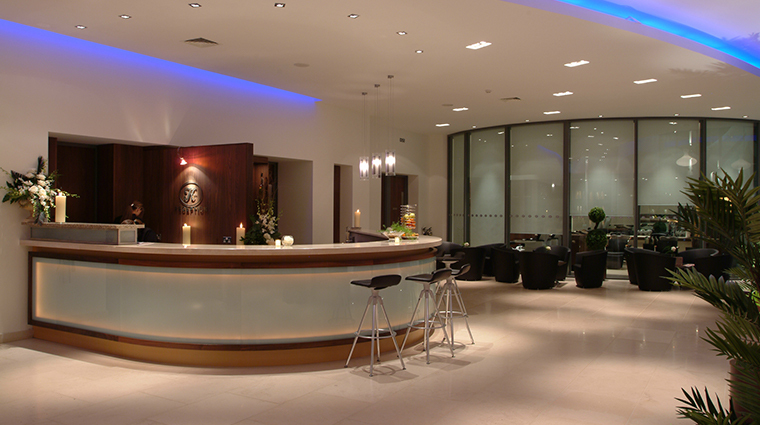 The luxury spa provides alternative therapies, including reflexology, reiki, acupuncture and craniosacral work. The Wellness Suite comes with one of the only Vichy showers in the country. Among the seven treatment rooms and two treatment suites, the Oak Suite is the top choice with an old-fashioned brass bath with modern air jets and a sauna. 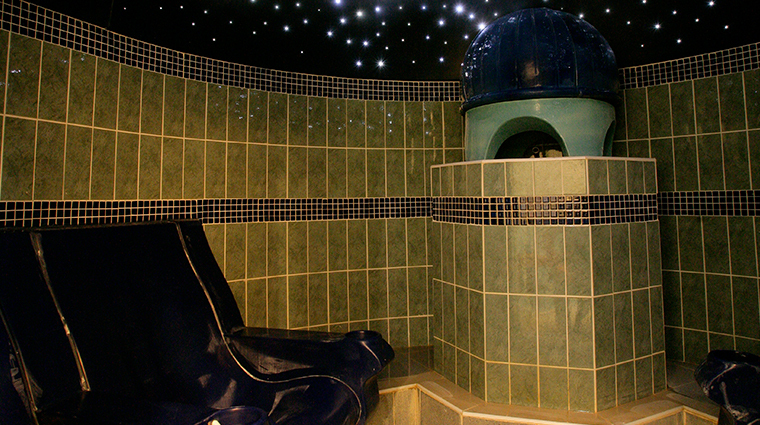 Pamper yourself with a multi-sensory service in the starlit rhassoul. The Arabic-inspired room has four large chairs for lounging in as you enjoy a mud exfoliation, followed by a steam bath and finally a warm “rain” shower from overhead.